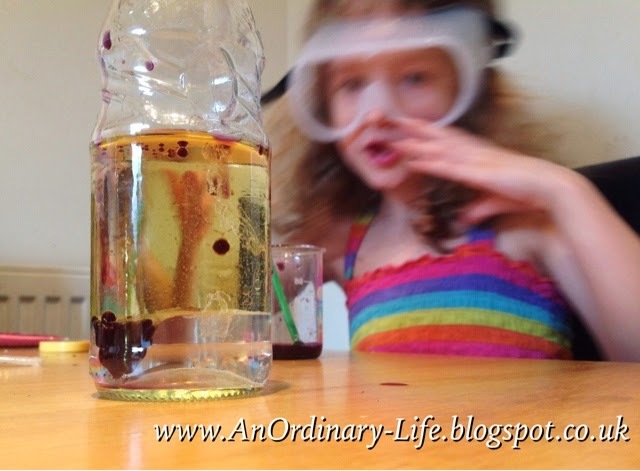 An Ordinary Life : How To Make A No Heat Needed Lava Lamp! How To Make A No Heat Needed Lava Lamp! My nearly 4 year old and 6 year old had a lot fun with this today, even my older girls got involved. It's a great one for all the family and teaches us about some interesting science too! Fill your bottle with about 4cm high of water. 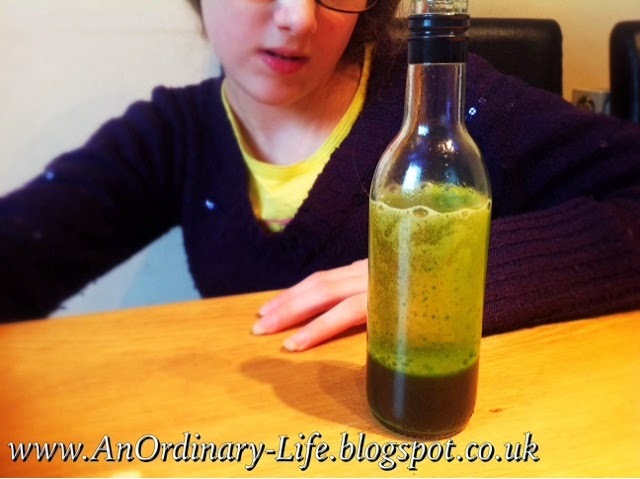 Add 10 drops of food colouring to your bottle. This part is fun to watch! You can read more about it later in this post. Add quarter or half a fizzing tablet to bottle. When we add the oil we don't have to worry about the oil and the water mixing because they won't. "All the tiny oil particles are so scared of the water they keep moving away from the water molecules and that's why they don't mix." The reason that the oil sits on the top rather than underneath is simply that water is denser (Density means has more mass/weighs more per cm squared) than oil does. You would have also noticed that when we add the droplets of food colouring, they fall slowly through the oil and then sit at the bottom of the oil for a time before exploding. This is because the oil coats the drops of food colouring and it's not until the wall of oil is broken through that the food colouring escapes and mixes with the water underneath making it a pretty colour! When we added the fizzy tablet, it didn't react until it reached the water because it is the chemical reaction between the tablet and the water that creates the fizz; it forms a gas called carbon dioxide. It is these bubbles of carbon dioxide (CO2) that catch some of the food coloured water and carries it back up through the oil. The reason the bubbles still go up even though they are filled with water is because the density of the carbon dioxide bubbles filled with water is less than just the water and less than the oil too so it floats right up to the top. When these bubbles filled with gas and coloured water reach the surface of the oil they 'pop' releasing the gas into the air and causing the water fall back down again to the bottom! Thus giving an effect like the lava lamps we see in the shops. Want to add to the effect? Shine a torch through the bottle, from underneath is best. Enjoy the show!